Leave a Cheater, Gain a Life is a no-nonsense self-help guide for anyone who has ever been cheated on. Here's advice not based on saving your relationship after infidelity-but saving your sanity. When it comes to cheating, a lot of the attention is focused on cheaters-their unmet needs or their challenges with monogamy. But Tracy Schorn (aka Chump Lady) lampoons such blameshifting and puts the focus squarely on the-cheated-upon (chumps) and their needs. Full of solid advice that champions self-respect, Leave a Cheater, Gain a Life offers a fresh voice for chumps who want (and need) a new message about infidelity. This book will offer advice on stupid sh*t cheaters say and how to respond, rookie mistakes of the recently chumped and how to disarm your fears, why chumps take the blame and how to protect yourself, and more. 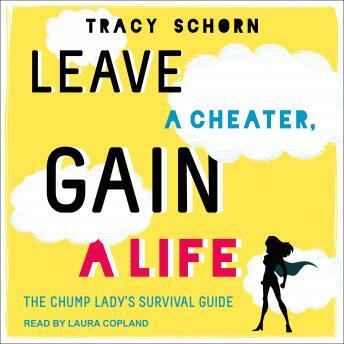 Full of snark, sass, and real wisdom about how to bounce back after the gut blow of betrayal, Schorn is the friend who guides you through this nightmare and gives you hope for a better life ahead.